Beijing: Post the Doklam standoff, China today said it cannot share the hydrological data of the Brahmaputra river with India due to upgradation of the data collection station in Tibet but expressed readiness for talks to reopen the Nathu La pass in Sikkim for the Kailash-Mansarovar Yatra. "For long time we have conducted cooperation on the river data with the Indian side. But to upgrade and renovate the relevant station in the Chinese side, we do not have the conditions now to collect the relevant statistics of the river," Chinese Foreign Ministry spokesman Geng Shuang told media in Beijing. Asked when China will provide the data, the sharing of which was reportedly suspended due to the Doklam standoff, he said, "We will later consider that." Asked whether India has been informed that the hydrological data will not be shared, he said according to his information the Indian side is is aware of the relevant situation. 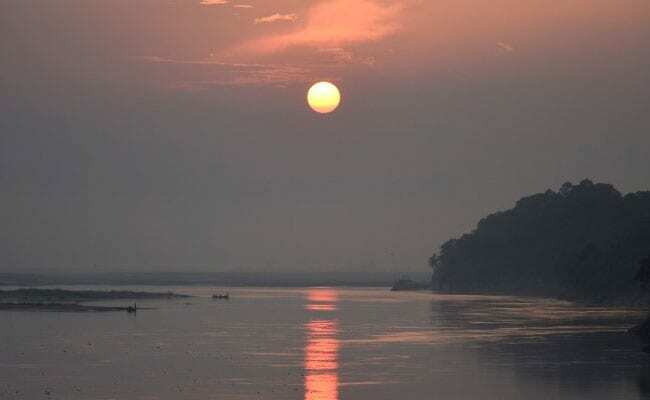 The data shared by upper riparian state, China, to lower riparian states, India and Bangladesh is essential every monsoon to allow anticipation of the flow of the water and take necessary measures to deal with flooding in India's northeastern states. China's stand citing technical reasons to not provide the hydrological data could pose major problems for India, especially to manage flood and drought seasons. China has been building major dams on the Brahmaputra river to generate hydel power. It has operationalised the Zangmu hydroelectric project in October, 2015 and three more dams are under construction. While the dams raised concerns of water shortages in India and Bangladesh which are lower riparian states of the Brahmaputra river, known as Yarlung Tsangpo in Tibet, China says its dams were made to generate power and was not aimed at storing water. Geng sounded positive on the reopening of the Kailash-Mansarovar pilgrimage route through Nathu La Pass in Sikkim, which was suspended over the Doklam standoff. Geng said China is ready to "keep communication" with the India on this issue. "For a long time China has made efforts against all odds to provide necessary convenience to the Indian pilgrims" he said. "According to the agreement reached between the two leaders and based on the fact that the western section of the India-China boundary has been recognised by the two sides, China opened the pass to the Indian pilgrims," he said, replying to a question about when China will open the route to the Indian pilgrims as the Doklam standoff has been resolved. The foreign ministry spokesman said the opening of the Nathu La pass was suspended as the Indian troops "illegally crossed the border leading to the tensions at the border". "So China stands ready to keep communication with the Indian side in regard to the opening of the pass and other issues relating to the pilgrims," he said. India and China last month ended a 73-day standoff in Dokalam area of the Sikkim sector that was triggered by China's move to build a road in the border area.